THE PATH OF CITRUS COUNTY, INC. is a rescue mission: a shelter and new life program dedicated to helping homeless or displaced men and women overcome addiction, strengthen family relationships, develop a productive work ethic and rebuild their lives so that, if willing, they can escape the cycles of poverty. It has been over 10 years now since I first heard the whisper to grow food. No, it was not a field of dreams whisper where I heard, ‘build it and they will come.’ It was simple: grow food. I would hear this when I woke up probably once every two weeks. I am sure I did what most of you would have done. I am imagining it or it is just random thoughts going through my head. No, it was consistent and it would not stop. This went on for months! At this time, I was living in the shelter and I had dietary problems of my own– but what was more important was to actually live with people and watch them struggle with their diets. When the shelter first started, none of us had a lot of money and I found out first hand that I, just as the shelter clients, ate terribly on a low income. Whatever was cheap, tastes good and was filling, definitely did not always make you feel good. There were many, many days where I struggled. My normal quiet calm demeanor was anything buy quiet and calm with emotional swings that I think were from food. By this time, I had already experienced a severe bi-polar person checking in to the shelter and they were not so bi-polar after changing some life habits and their food. A man showed up one day with a friend of mine, Doug Lobel (this man may have been at one time on my board but I don’t think he was at this time), and the volunteer drove me crazy because he did not want to do anything I had for a volunteer! He was just about to walk away when he said he had been raised on a farm. Within one week, he had our back yard torn up and a vegetable garden planted. Two years later, the Hernando Church of the Nazarene let us use ten acres and we were in the farming business. Since then we have planned to make food sustainable for our clients and county. It has been a tough road. Farming is hard work but the payoff is worth it. 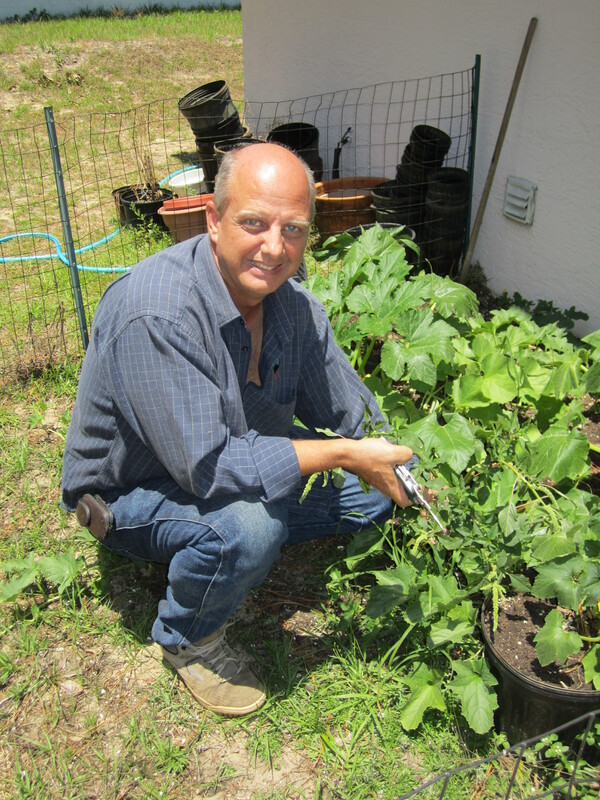 Our clients can have all the food grown at the farm that they want. Often, our clients having worked at the farm for a couple months are ready to work almost anywhere. The farm has turned out to make our program well rounded for everyone. For the last two years, we have had the best food all twelve months of the year without using pesticides, money can buy. We have a farm cooperative to help us sell our vegetables to the public which, in turn, helps us keep the farm program alive. Last year, we lost $30,000 on this program. I need your help. I believe in this program with all of my heart. If you want this food, I encourage you to give us a call at 352-527-6500 x8. Your ministry inspires me. God bless. Change Lives … Give Today!